What follows comes from the Diocesan website. I trained with Michael in Durham and he really is very good news indeed! The Revd Canon Dr Michael Beasley has been named as the next Bishop of Hertford, in succession to the Rt Revd Paul Bayes, who is now Bishop of Liverpool. Canon Beasley is at present Director of Mission in the Diocese of Oxford. The announcement was made this morning, 5th March 2015, by 10 Downing Street and in a press conference hosted by the Mayor of Stevenage, Cllr Sherma Batson MBE, in the Council Chamber at Daneshill House. Canon Beasley will live near Stevenage, in Knebworth, when he takes up his post later in the year. 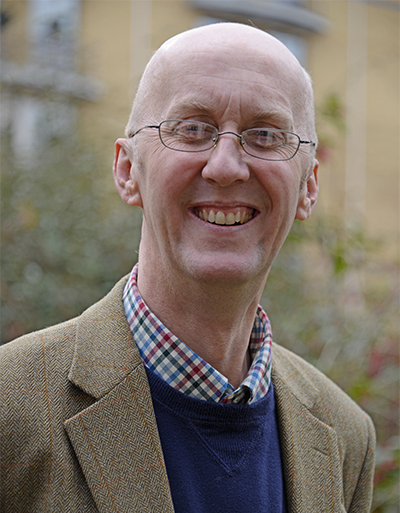 Canon Beasley has been Director of Mission in the Diocese of Oxford for the last five years. This follows a career in the scientific world, which for over a decade combined priestly ministry and epidemiology, the study of the patterns, causes, and effects of health and disease conditions in defined populations. Canon Beasley says both science and his calling as a priest have formed him as a person and have given him an insight into working in two jobs at the same time. He says: “In Christ, all things hold together.” He sees his work, in both fields, as joining in with God’s work of transformation, whether in Christian ministry or international development. Those strategic skills were again invaluable during Canon Beasley’s succeeding five years in Oxford Diocese and are at the heart of what he brings to St Albans Diocese. The Suffragan See of Hertford is in the Diocese of St Albans, comprising over 400 churches in Bedfordshire, Hertfordshire, Luton and Barnet. The Bishop of St Albans, the Rt Revd Dr Alan Smith, who recommended the appointment, oversees the diocese. The Bishop of Hertford supports the Bishop of St Albans Ministry across all 1100 square miles of the diocese, but will have particular focus on the 230 parishes of Hertfordshire. Following the press conference, Canon Beasley made a tour of Hertfordshire, visiting St Nicholas C of E Primary and Nursery School, Stevenage, Rothamsted Research Centre, Harpenden and Holy Trinity, Bushey’s Hot Chocolate after-school ministry. Canon Beasley is married with two young children and has a love of gardening and bees. His wife Elizabeth is a deputy head teacher.